In order to make a full day out, combine your visit to Hartland Abbey and its garden and grounds with a walk around our village of Hartland with it’s Craft shops, potteries, art galleries and local shops. St Nectan’s Church, Stoke, between Hartland Abbey and Hartland Quay, is known as the ‘Cathedral of North Devon’ due to its massive size and wonderful rood screen. 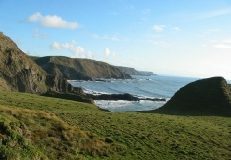 The Hartland Abbey estate encompasses some of the most spectacular and beautiful coastline in the British Isles with views stretching to Lundy Island 12 miles out in the Atlantic Ocean, the north Cornish coastline to the south and, on a clear day, the coastline of South Wales. 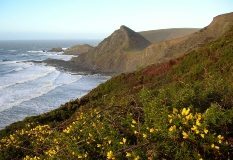 Vantage points are accessible by vehicle or foot with the best views on the way to Hartland Quay. The South West coastal footpath passes within a mile of the Abbey. Enjoy a visit to Hartland Quay, where comfortable accommodation is available together with good pub lunches in the cosy Wreckers Retreat Bar. Across the way from the Hotel there is a gift shop and a wonderful Shipwreck Museum dedicated to the local area and its association with the sea. 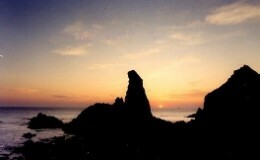 www.hartlandpeninsula.co.uk has further details of the area.